The League of Certain Peril is a sub aquatic secret organization known to a select few. It is reportedly run by monkeys. 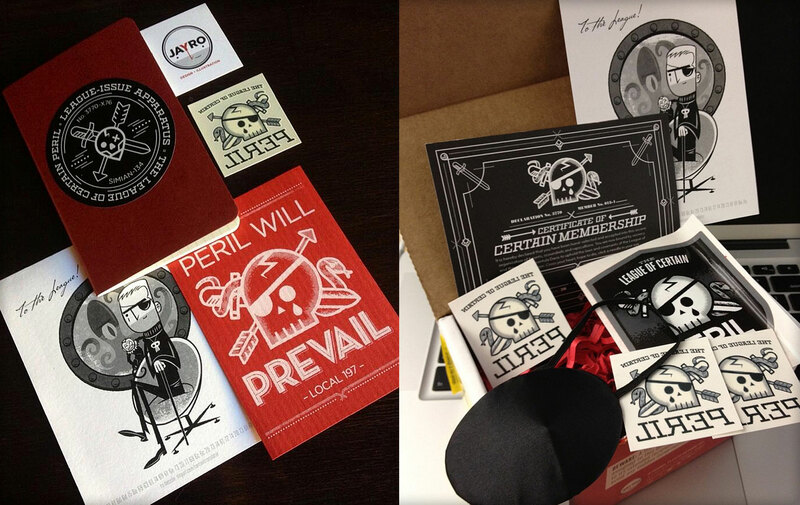 Not much is known about The League of Certain Peril, it is an exclusive organization and its members are hand selected. It is difficult to become a member. There may be a secret oath, a level of comfortability with members of the simian kind, and puzzle solving. LOCP has some cool stuff. How can I get some? To learn more about joining The League of Certain Peril, enter your email and solution to the secret message below.